Phew. With the peak of wedding season over its time to start thinking about all those Christmas gifts that need buying for our nearest and dearest. 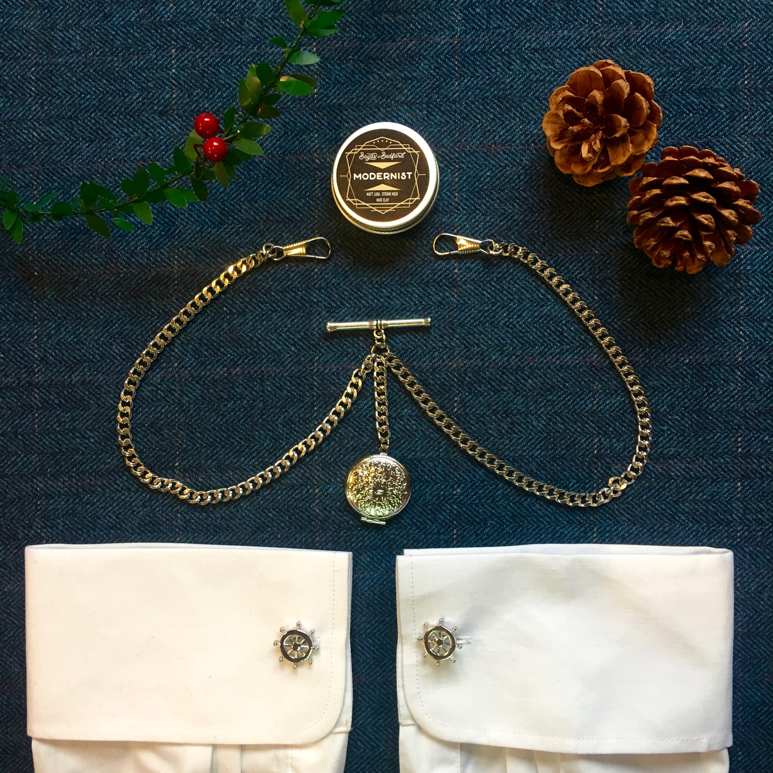 Our range of accessories are the perfect touch to finish off your wedding day look, but they also make great Christmas gifts for the sartorial man in your life. Have you got a Secret Santa to buy for? These sets of gifts, all reaching under £10 may be the perfect solution for you. These little sized hair products are brilliant for styling on the go, great to go in a jacket pocket for styling during a night out or before an all important meeting. We absolutely love these anchor cufflinks, for a little nautical style to inject a little quirk into an outfit. Got a little more money to spend? these imaginative gifts will have the thankful recipient dressing dapper into 2019 without fail! Bronze is the metallic colour for this year, and our pocket watches have been so popular - these stylish collar stiffeners are a great little luxury gift for the smart gentleman in your life. We think this would make any guy feel special - style has been all about the accessories, and plain is out. We love our double albert chain with locket in the middle, along with our ship’s wheel cufflinks to make a stylish, but just subtle enough, statement. You can buy your selection online and select for either delivery or collect in store. We also have our tweed jackets, waistcoats and trousers in a range of sizes if you’d like to buy them as a gift, drop in to our store or give us a call on 01234 910620 to check we have the sizes you need, we look forward to hearing from you. 2018 Round Up - What a Year!